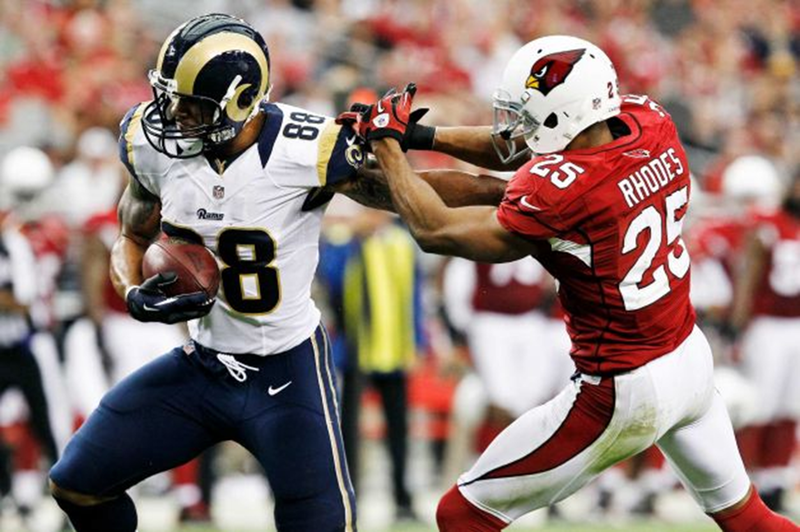 In the midst of a significant team-wide slump, our Rams sources agree that one of the few positives has been the steady improvement of second-year TE Lance Kendricks, who has become a valuable force both as a receiver and as a blocker. It’s Kendricks’ sudden blocking expertise — which last season seemed to be surprisingly lacking from a player coming out of the University of Wisconsin, a school known for cranking out quality run blockers — that has stood out the most in his sophomore season. So much so that the team deemed Brit Miller, the only pure fullback on the roster, expendable with the need to open up a roster spot for Scott Wells, fresh off the injured reserve/designated for return list and reportedly ready and raring to finally settle into the team’s starting center role. Kendricks and newly promoted TE Cory Harkey will be expected to in effect share FB-type duties moving forward. But the strides Kendricks continues to make as a receiver, consistently catching more than 70 percent of the passes thrown in his direction (he has between 2-4 catches each of the last five games), should not be overlooked, as he poses an increasingly versatile cog for an offense that remains a real work in progress.